Launched in 2003 as an open source platform, today WordPress is the most popular Content Management System (CMS) on the market. Powering over 25% of websites in the world, and with 65% of the global CMS market, WordPress is simple, powerful and flexible, making it so much more than just a blogging tool (which is was it started off as). WordPress offers a full feature-set that rivals larger any other CMS system. It is fast when configured properly, very user-friendly, search-friendly (read: Google likes it) and flexible. With solid backing from a large, activate community, WordPress is an excellent choice for managing websites of any size. We offer WordPress installation, development, theme design and custom plugin development. We can also help you migrate from other CMS systems such as Joomla and Drupal over to WordPress. Not sure what Joomla or Drupal are? Don’t worry this means you probably won’t need to migrate away from them. The majority of our customers migrate from either static HTML websites or from older installs of WordPress. In either case, we can use your current text content (and sometimes images) and give your website a more modern look and feel. Through our bespoke WordPress website design & development services you will be able to manage your website with minimal to zero HTML experience. We, the most referred WordPress website design Ottawa create WordPress website that can be equally usable in cross-platform & integrate necessary tools to improve your marketing results. Mobolo designs and develops engaging websites that run on WordPress. Our most popular small business web design package runs on WordPress but we actually maintain everything for you, so that you don’t have to worry about the technology behind your website if you don’t want to. Mobolo develops and integrates customized WordPress plugins to add extra features and enhance the performance and functionality of the client’s portal. While this is customer-specific work that is not included in our regular web design and maintenance package, we would be more than happy to work with you on a per-project basis. Depending on the requirements of our clients, we offer customized Search Engine Optimization add-on’s. In the world of Google guarantees are hard to make but we do our due diligence and give clients an honest idea of what’s possible. WordPress has a wide variety of plugins that make it somewhat easier to integrate with popular business services. Depending on your requirements and the simplicity of the task we can either code functions into your site or use off-the-shelf solutions. The world of upgrade and migrations can be very confusing.We have the WordPress web design experience required to help Ottawa-based companies stay up to date at all times. 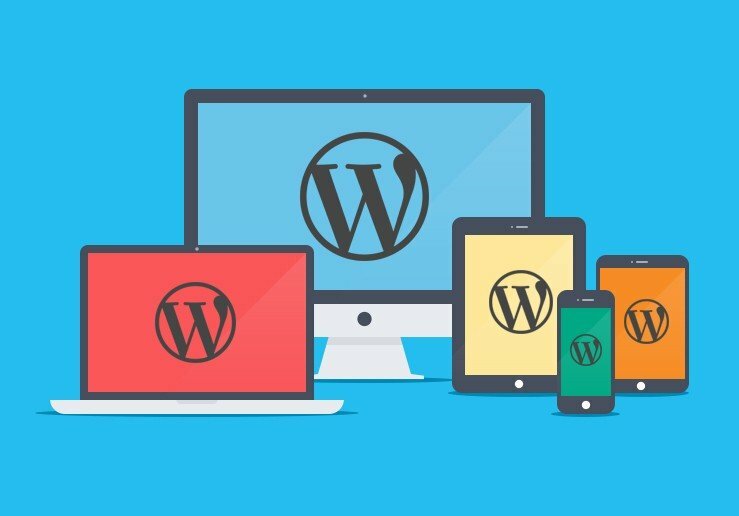 Mobolo offers complete installation and configuration services to let clients use WordPress to its fullest. We can often help clients and potential clients right away. When the solution to a problem isn’t immediately obvious, we do our post to find answers ASAP. We specialize in WordPress website design Ottawa and understand the risk that viruses and malware pose to any website. Part of the advantage of manage a large number of websites that run on WordPress is that we stay are up to date on the latest tips and tricks required to keep a website secure. Because the vast majority of our websites run on WordPress, we are in a great position to make effective recommendations to our client base. WordPress website design Ottawa is key to what we do. To keep prices affordable, many reputable web design companies, cookie cutter WordPress solutions.As a result, most of their websites end up looking the same. The isn’t a big deal if your competitor is located half way across the planet but it could come off as cheap if a visitor happens to see an other business’ site that looks very similar to yours..
We put time and effort into each and every website we create. From the images and colours we select to the general look and feel of your site, we try to put ourselves in your chooses and do what’s right for your customers. Since the beginning of 2018, Google has been rolling out Mobile First Indexing. This means that Google will now look at what your mobile website looks like and rank it in search results accordingly. Now more than ever, having a mobile responsive website is crucial. We make sure your websites are design with mobile in mind. This means they will load quickly and be simple to navigate. Google has announced that come July 2018, page speed will become a ranking factor, although for mobile searches. While you may not see a significant ranking boost just because your site loads fast, if it’s painstakingly slow, this update might affect you. At Mobolo, we ensure all websites we build are not only mobile friendly, but load blazingly fast as well. With us, you are assure of quality at all times. Experts : – If WordPress was a planet, we would be the dominant species. There is literally nothing that our team cannot do. Support : – Working with us means you become part of the team. We go above and beyond the call of duty for our clients. Results : – Whatever your website’s mission objective is – sales, leads, enquiries, signups; we make that happen. Best-Practices : – We follow the latest WordPress best-practices. Not only do we get things done quick, but we get them done right.